This is Michael Rosen performing his rap. During the performance listen the expression in his voice and watch his facial expressions too. In Literacy this week we will be performing a variety of poems. Our outdoor PE slot is Tuesday afternoon. During this session we will be developing our tennis skills. Watch these proffessionals in action for some inspiration! Remember indoor PE is yellow t-shirt and green shorts. Outdoor kit is yellow t-shirt, track suit bottoms and trainers/pumps. This half term our topic is ‘Before Man’. We will be learning about the Earth before man was on it! The picture demonstrates that dinosaurs where roaming the earth before man. What do you think you could hear, smell, see and touch if you were in the picture? Watch this short video. Can you name any of these dinosaurs? 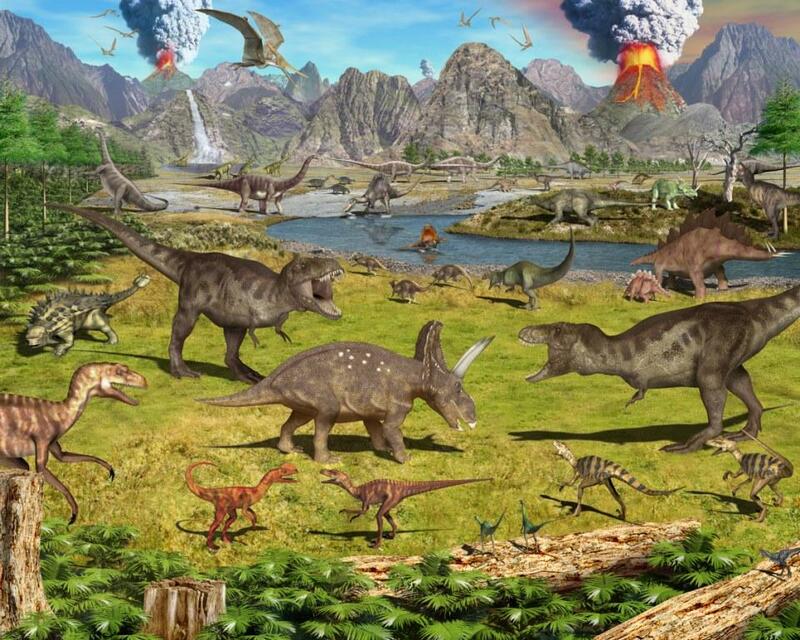 Can you find out any facts about any of these dinosaurs? Welcome to the Year 3 blog. I hope everyone has had a fantastic holiday. On this site you will be able to find out all of the exciting things which are happening in Year 3. Parents and pupils will be able to leave comments on the blog. We will be uploading regular pictures and video of activities which are happening in Year 3. If you would like to give parental consent to using your child’s image on the blog please pick up a form from reception. If you have any questions regarding the blog please don’t hesitate to talk to any of the Year 3 team.